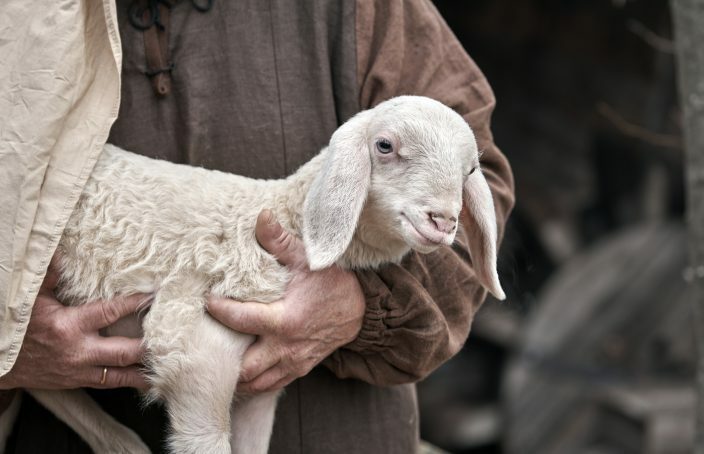 Each one was handpicked, and as they brought the lamb into their homes, they followed the instructions the Lord had given through Moses to take special care of it. Over the next four days, that precious little lamb became a part of the family. So it was without joy, but rather with broken hearts, that the man of the house put the knife to the lamb to shed its blood. That blood, however, was their lifesaver. It would be smeared at the top and the sides of the door post in front of each home, and as the death angel passed by, their home would be spared from the terror and judgement that all of Egypt would face. That blood was the only thing that would draw the line of separation and distinction from any other home. It wasn’t about who lived inside, their profession or social standing, and it didn’t have anything to do with how good or bad the occupants were. The only thing that mattered was the blood. Jesus was represented in that lamb at that very first Passover, and the same importance that was placed on that original lambs’ blood for those families, is the same for you and me regarding Jesus, the Lamb of God. We must apply His blood, by faith, to the door of our hearts by believing on Him for our salvation. And, just as with the Hebrews, it has nothing to do with anything except the blood. The precious blood of the spotless Lamb of God, that was shed for you and me, is the great equalizer. No matter who we are, where we’re from, or what we’ve done, if we just simply put our faith and trust in Jesus, we are saved forever more.